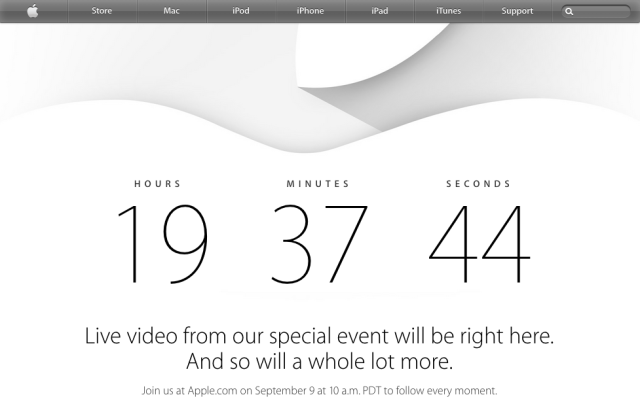 In less than a day, we will find out what Apple has been cooking up lately: The company is widely expected to unveil the iPhone 6. If you have followed the blog, you may already know that there were plenty of iPhone 6 rumours, some credible, some not, while other reports contradicted all that we had initially thought. So here are the rumours we may see materialize tomorrow when Apple unveils the next-generation iPhone. The iPhone 6 will be available in two different versions: a 4.7-inch and a 5.5-inch model. We’ve seen plenty of reports and leaks, so we want to believe that Apple will go big and launch new models with a bigger screen. The bigger display will have a different resolution, and the 5.5-inch model may have an iPad-like productivity interface for some apps. Apple may opt to use sapphire glass only with a limited number of devices. You may be wondering, how can a high-end device be even more high-end? Well, the recipe is apparently simple: by adding sapphire glass. However, this feature is somewhat questionable, as the rumour mill says Apple may stick with Gorilla glass due to drop test issues. Our sources seem to confirm that fact as well. The iPhone 6 may have a 128GB option, and it may incorporate new sensors such as a barometer. Apple may add optical image stabilization to the 5.5-inch iPhone and will use the same 1GB of RAM seen in the iPhone 5s and the A8 SoC. 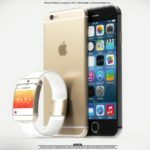 Apple will finally use an NFC chip to kickstart its own mobile payment platform. The handsets may feature a Category 4 LTE modem from Qualcomm. The iPhone 6 battery will be slightly bigger: 1810 mAh for the 4.7-inch version and 2915 mAh for the 5.5-inch version. The 5.5-inch iPhone 6 is to be called the iPhone Plus (Air, maybe Pro, someone?). And to close the never-ending list, here is one thing the whole tech world has been waiting for: Apple may introduce its own wearable device, dubbed as the iWatch. These are just a few of the features we may see unveiled tomorrow. Are you ready?